The Sir John Soane Museum is regarded as one of the most atmospheric and fascinating in London. The building is the beautiful, bewitching home of architect Sir John Soane. The smallest of the UK’s national museums, the Museum hosts over 120k visitors a year and at its heart is an eclectic collection of 45,000 objects. 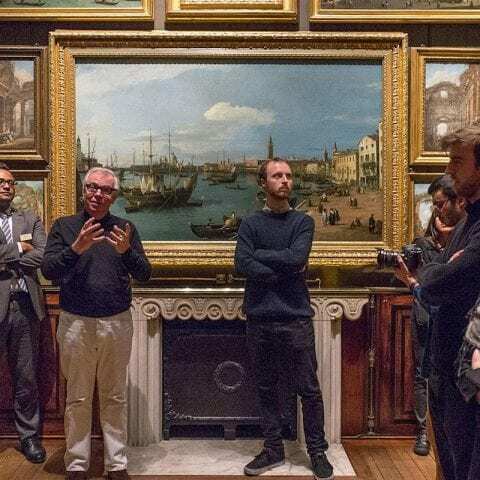 We have worked with the Soane since late 2014 when, as part of a larger transformational project, we were approached by the Museum to pitch for the redevelopment of their website. Since then we have completed three phases of work - the redevelopment of the Museum website, the migration and upgrade of their online ecommerce and retail offering and most recently ongoing digital marketing services. 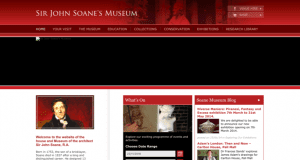 We redeveloped the Sir John Soane's Museum website from the ground up. Their existing website was confusing, only available as a desktop site and was difficult to manage for editors and Museum staff. Even with a cursory look at the analytics we could see that customers were struggling to find information, it wasn't responsive for mobile devices and managing content was time-consuming and in some instances wasn't even possible. Our website is a key part of our larger digital transformation and the site Un.titled have designed and built for us has gone a long way towards exceeding our online objectives. We have a website that is responsive, easy to navigate, beautifully designed and crucially, achieving results. The result is a new, audience focused website with better content and structure and much improved calls-to-action. It's also easier to manage. After a period of slow decline, the new Museum website has seen increased traffic and improved engagement figures since its relaunch. Soon after the launch of the Museum site, we moved on to a second phase of work: replacing the Museum's Amazon Webstore and moving to Shopify as the eCommerce platform, integrated into the new (Drupal) website. We integrated Shopify with the Drupal powered Museum site, where we designed an eCommerce platform within the main website to give customers a more consistent and efficient experience across channels (and reduce jarring between platforms). We further developed a shop landing page to better showcase the range of products available in the shop and applied brand and style guides to the Museum's Shopify store. Our third phase of work has been about leveraging all the good work, done together, from previous phases. We wanted to see meaningful conversions, built on long-term business goals that increased both online income and online event bookings. Results to date have consistently achieved conversion rates of around 12% - well above the industry average of 2.5%. A key part of this has been to actively help manage the Museum's Google Ad Grant via targeted AdWord and PPC campaigns.